The Sea Rescue Sled is designed to assist in the successful rescue of any MOB, regardless of size, weight and energy level. The absence of a rear transom (barrier) on the sled enables a fatigued MOB (or pet) to simply slide onto it, with no need to expend further precious energy. The MOB can then be winched on board using the halyard. If the MOB is able-bodied, the crew can pull the sled to the lee side of the vessel and then winch it up vertically, enabling the MOB to use its in-built ladder to climb back on board. 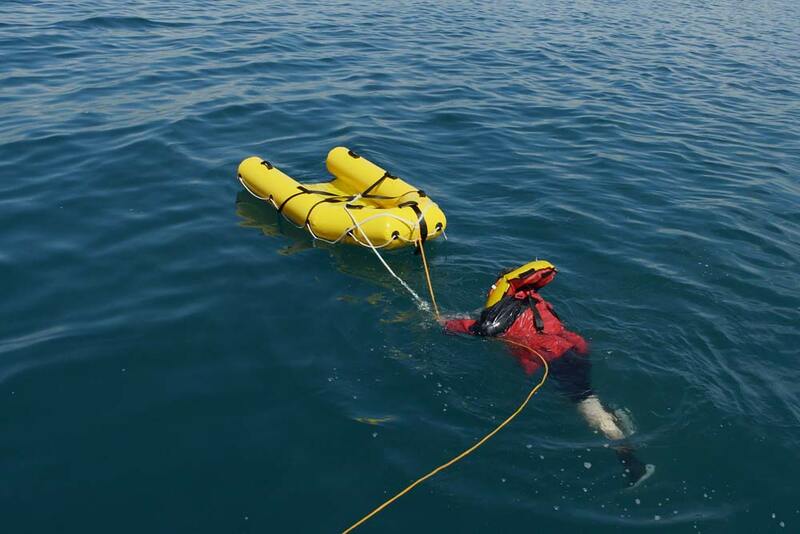 The Sea Rescue Sled is manufactured in China to the highest possible standards. We are in the process of acquiring ISO quality certification. A patent is pending on the design.